After experimenting for about 6 weeks, I have come up with a foolproof method for making greek yogurt. Yes, the good stuff! When doing research about making yogurt, I was pretty intimidated by the technicalities of it. Watching temperatures exactly, hovering over cooling milk for hours, it just wasn’t my thing. So I have tried 3 different methods and adapted them to take the exact measuring out. Now that is MY kind of cooking! After testing my method several times I have yet to get a bad result. The best part? When you are done, it only contains the protein-rich dairy and the bacteria you introduced. Those two things are all you really eat yogurt for anyway! – 2 heaping tablespoons store-bought yogurt with LIVE CULTURES. Start by pouring the whole gallon of milk into the large pot. Cover with the lid and heat over medium-low heat on the stove top. Check the milk now and then for the next 20-30 minutes and watch for it to begin steaming. You do NOT want to bring it to a boil. That will change the nature of the milk. You just want it to be obviously steaming. This step sterilizes the milk and kills any bacteria that may already be present. Once steaming, take the milk off of the heat and allow to sit and cool for about an hour. You will know it is cool enough to proceed when you touch the milk with a freshly washed finger and it is slightly warmer than your hand, or about the temperature of a tepid bath. This is the optimal temperature to introduce the bacterial culture for best possible growth. 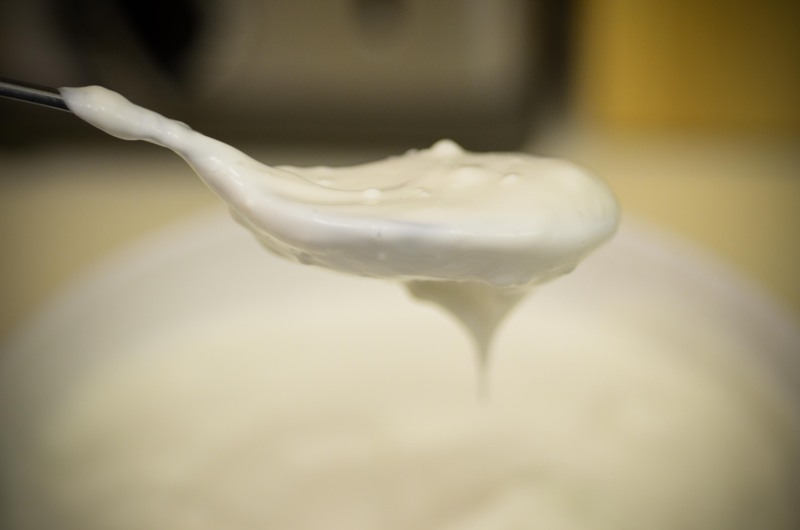 In a separate bowl, mix the 2 heaping tablespoons of store-bought yogurt (or 2 tablespoons of your previous batch of homemade yogurt) with about 1 cup of the warm milk. Stir until the starter yogurt is evenly distributed in the milk. Pour the starter mixture into pot of warm milk and gently stir until you feel it is evenly distributed throughout the milk. Put the lid on the pot, wrap the pot in a towel, and place inside of your oven to incubate. DO NOT TURN ON YOUR OVEN. If your oven has a light in it, leave it on to generate a very small amount of warmth. Allow to sit for 12-14 hours. The longer your yogurt is left to sit at room temperature, the more tart it will become. 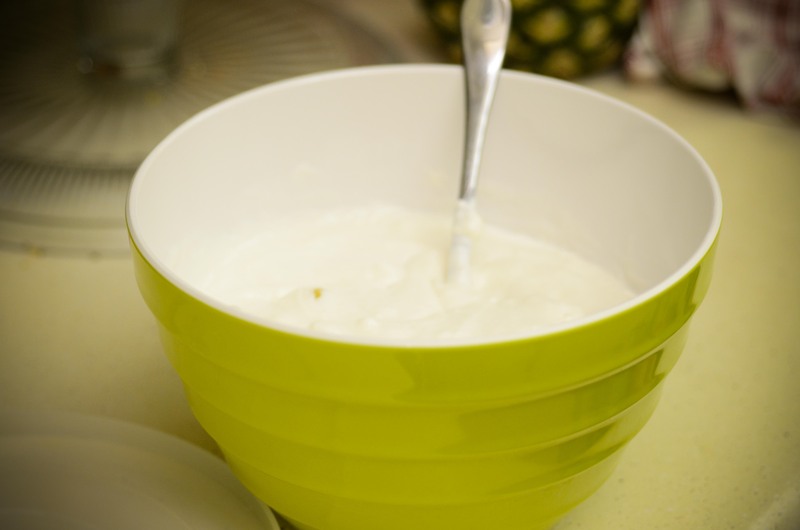 12-14 hours of incubation creates a yogurt with a mild and sweet flavor. I experimented with longer times and found 17 hours to create a classic tart flavor. I prefer the more mild flavor because I don’t feel the need to sweeten it as much, but if you like it tart let it sit longer. 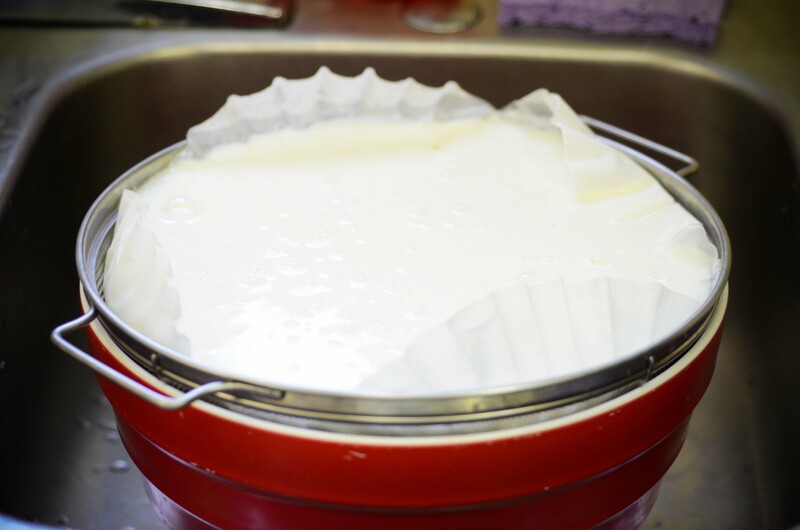 At the end of the incubation period, the yogurt in your pot will be liquid and easy to pour. This is because it contains a large amount of whey, which needs to be strained out. Whey is clear and light yellow, closely resembling egg white. The more whey you strain out of your yogurt, the thicker it will be. The only difference between greek and regular yogurt is the amount of whey left in it. Doesn’t feel like it is worth that much extra money now, does it?! To prepare your colander, nest it inside of the large bowl and line it completely with coffee filters. 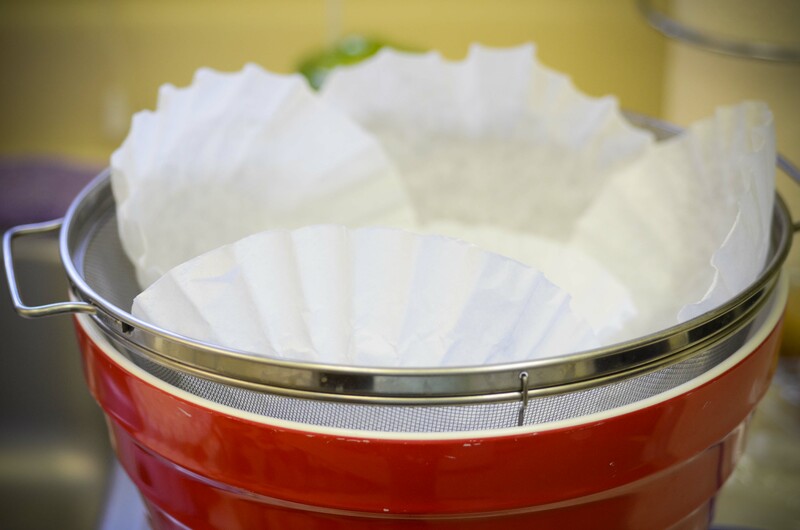 Most people use cheese cloth instead of coffee filters, but it is so messy to clean up afterward and the coffee filters make clean up a breeze. Just toss them in the trash when you are done! Pour the yogurt from your pot into your lined colander. cover with plastic wrap or a lid and allow to sit in the fridge for 12-24 hours. The longer you allow it to sit, the thicker your yogurt will become. I always let mine sit for 24 hours, and it makes a very thick delicious yogurt that has the same consistency as thick, full-fat sour cream. 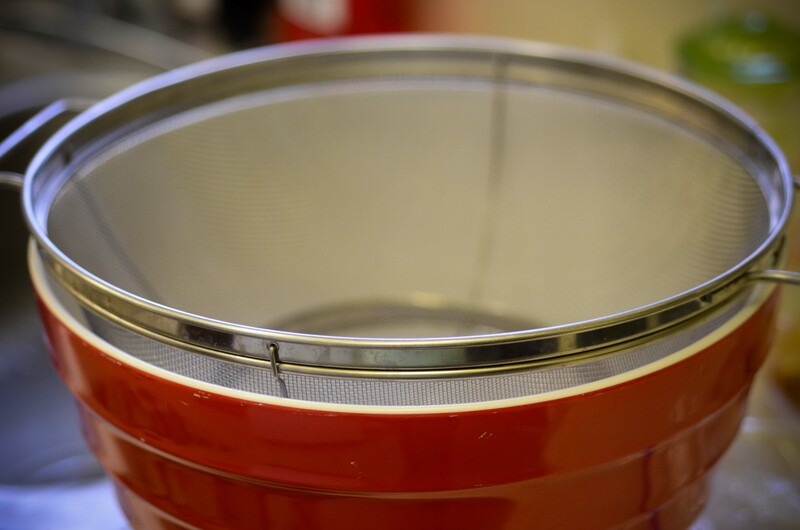 Depending on the depth of your bowl, every 6 hours or so you may want to pour out the whey that has collected so that it doesn’t touch the bottom of the colander and stall the straining process. To finish, simply scoop your yogurt out of the colander and into an airtight container for storage. Throw away the coffee filters, and you are done! Don’t forget to leave the last 2 tablespoons of your batch to use as your starter for your next batch! That way you won’t have to purchase any store bought yogurt in the future. One gallon of milk yields about 1/2 gallon yogurt for me, but this may vary depending on the holes in your colander, how long you let it sit, etc. I’d say that is a pretty good deal, though! $3 for 1/2 gallon of perfect greek yogurt?! Yes please! – The whey contains the majority of the milk sugar called lactose. Removing as much whey as possible is what makes greek yogurt lower in carbs and higher in protein. If it feels wasteful to you to throw away the whey, there are ways you can use it. You can use a little in your bread recipes to create a mild sourdough flavor. It can also be used in the process of making ricotta cheese. I have even thrown it into a batch of sugar cookies! I have also heard of people feeding it to pigs and chickens if you have any of those around. Honestly, after trying to be creative with the whey, I have decided that it mostly just adds sugar to things so I don’t feel bad throwing it out. That’s just me. Please let me know if you find a good, healthful use for it! – My favorite store-bought starter yogurt is called “The Greek Gods” and can only be purchased in larger containers for around $4. 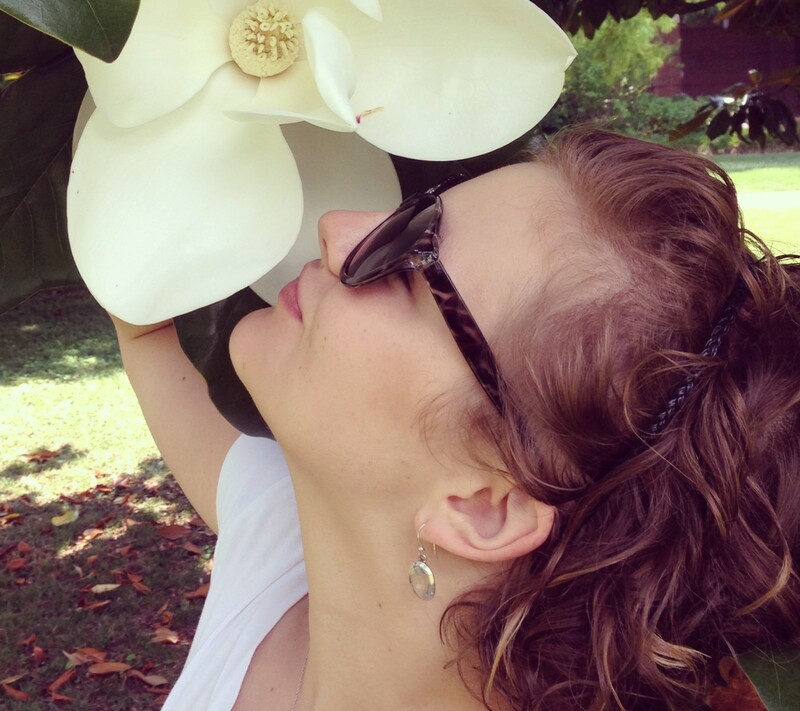 The reason I love it so much is it contains three different LIVE ACTIVE bacterial cultures. They are hearty and fully alive, unlike some of the more popular brands of yogurt which have been heat-treated after incubation to kill most of the bacteria. They do this to make the taste more stable in case it gets warm while being shipped, which would activate the growth (and sour-flavor) of the bacteria. However, they kill off the beneficial bacteria in the process! Be sure that the label on your starter yogurt says that the cultures are LIVE and ACTIVE or else your milk will never grow any cultures. 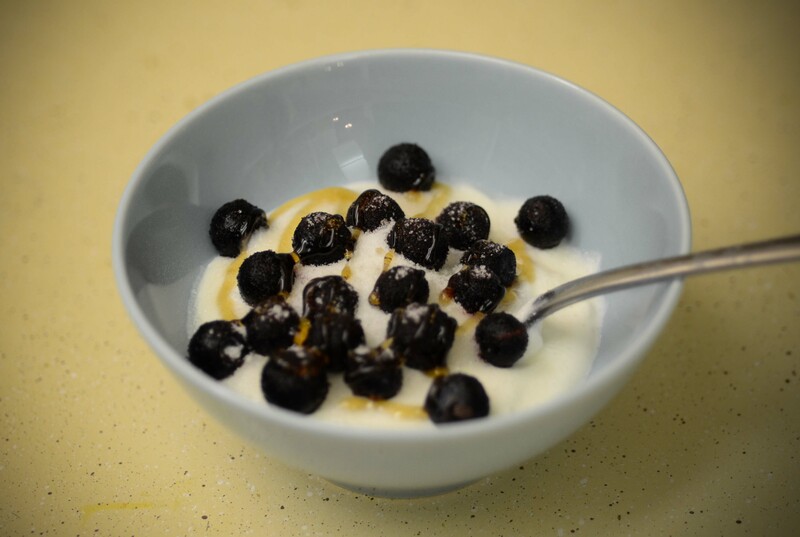 – My favorite way to eat this yogurt is with a handful of frozen blueberries on top and a little agave nectar drizzled over it. It is also a great replacement for sour cream or for mayonnaise when making salad dressing. I also like to mix it into my daughter’s oatmeal. My husband makes protein smoothies with it in the mornings. – Plan ahead and incubate your yogurt based on a schedule that works for you. I prefer to incubate my yogurt overnight, starting around 8 pm. This way when I get up in the morning, it is ready to transfer to the colander. Then 24 hours later at about the same time the next day, it is ready to eat for breakfast. -You may find that your yogurt is a little lumpy. This is normal. Just stir it well after straining it to achieve a more smooth consistancy.